At 6:45 on Tuesday night in Merrill Gymnasium, students flex their muscles, train their bodies, and exercise parts of their minds untapped by academics. 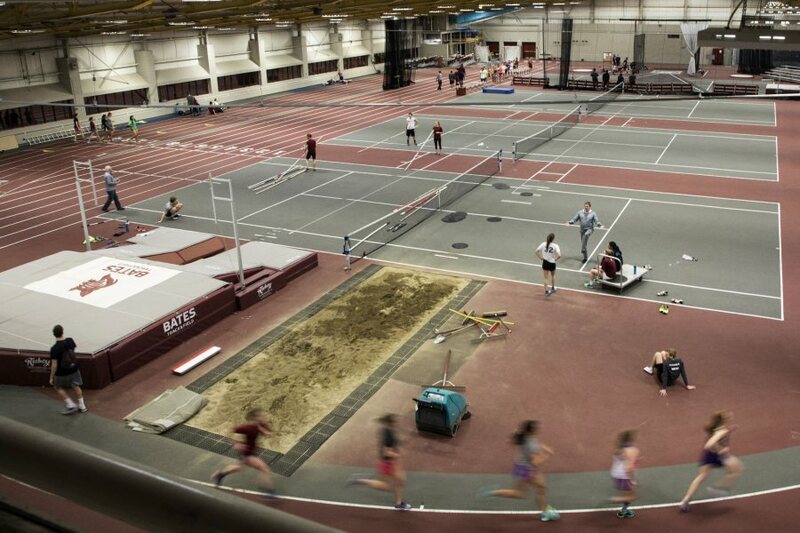 The wall is at the far end of the Merrill field house, which on this night is otherwise filled with track and field athletes running, jumping, and throwing under the guidance of their coaches. The wall is the “perfect place to hang out while getting better at climbing,” adds Matt Glasgow ’21 of Salt Lake City, a sociology major.